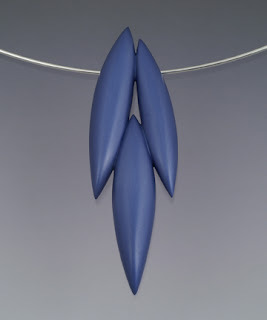 The entry form for the 2008 Lapidary Journal Jewelry Arts Awards has finally been posted. Its due March 1st, 2008. 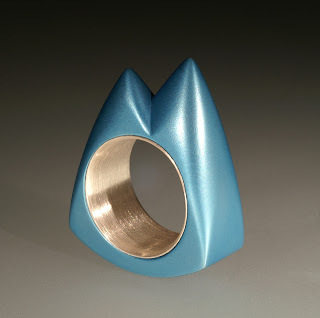 It is anodized aluminum and sterling silver. This is the first piece I have titled in almost 3 years. 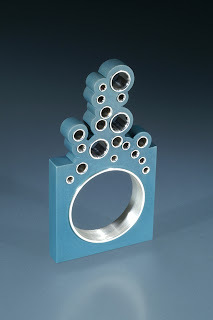 I called it Cylinder Ring. Not because I really want to give it a title, just because things are starting to get confusing when all my work is untitled. In August, when I got the email about one of my pieces being a finalist in the Cheongju craft competition, they said it was my piece"untitled" that got in. I had to email back and ask which untitled piece it was cause both pieces I had entered were untitled. So I guess I will start giving my pieces descriptive titles. It was the first of my aluminum pieces, and it was also the first thing I made in grad school, so I think its ok that I dont want to sell it. But there are a lot of other pieces I don't want to sell. Actually I don't want to sell most of what I make. But I have to if I want to be able to continue making it. I finished my ring last night. I am happy with it. I will take photos of it later today. My ring is almost finished. It should have been finished 3 days ago. It seems the closer I get to finishing something the more I start to procrastinate. I am taking a lot of photos of the process, which are in this set on flickr. When I redo my website I might use them on my site to show how my pieces are made. I'm not sure when that will be, because I really hate working on my website. There is a juried exhibition coming up called The Ring Show: Putting the Band Back Together, that will be up at the same time as the SNAG Conference this year. Entries are due soon: Jan 24th. This is the prospectus. I am working on a new ring for that. In the past rings were my favorite thing to make, and it seemed good designs came to me easily. Eventually I forced myself to stop making so many rings and make some other things instead. 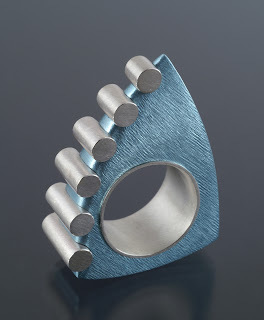 Now I am finding it difficult to come up with a good ring design. I think the design I settled on is ok, I don't think it's my best work, but I needed to start on something if I am going to finish it in time to enter it in the exhibition. I finally started working out again. I need to work on losing some of the weight I put on during grad school. I got 3 pieces in to Wearable Expressions, which is a juried international jewelry and fiber exhibition. 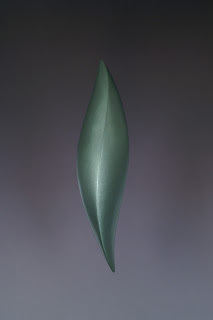 It will be from Feb 22- April 20 at the Palos Verdes Art Center in Rancho Palos Verdes, CA. I am thinking about going to the opening Feb 22nd. Yesterday it was exactly 3 years since I left California. I miss it. I think this would be a good excuse to take a trip there. I will think about it some more.